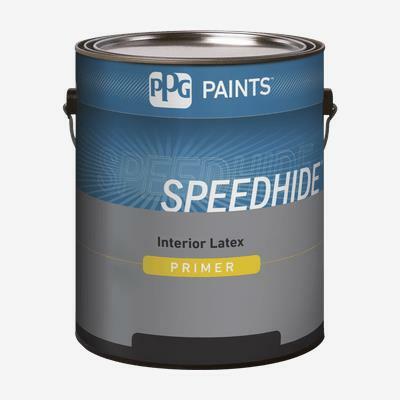 SPEEDHIDE® Interior Quick Dry Primer/Sealer is our best professional alkyd stain blocking primer designed to meet the performance requirements of the professional applicators. SPEEDHIDE® Interior Quick Dry Primer/Sealer provides excellent adhesion to a wide range of surfaces, blocking and sealing out a variety of common stains including water, nicotine, markers, and graffiti stains. It can be re-coated in 1 hour and provides excellent adhesion to glossy surfaces, including Formica, aluminum, and tile. It is also recommended for use on wood, wallboard, brick, cement composition board, and cured masonry, plaster, cement, and stucco.